The debate about Stacey Dooley's Comic Relief photo sums up an Instagram generation that cares most about me, me, me in the United Kingdom! David Lammy is not happy about Stacey Dooley’s Comic Relief trip to Africa. Bad enough, his argument goes, that she swanned out there in the first place, trying to make a charity documentary and put some good in the world. Who does she think she is? A worthy person? Bah. 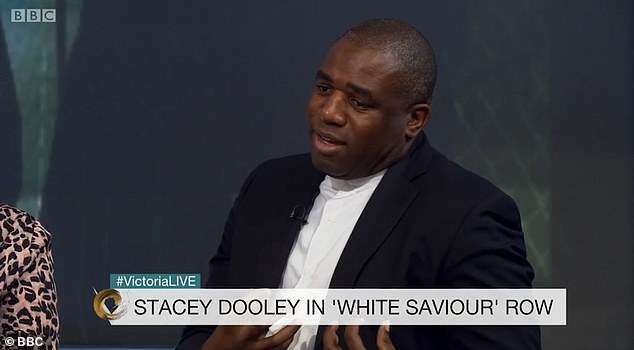 The Labour politician is enraged about something he calls ‘white saviour’ complex and has accused Dooley of using her Instagram account to make herself look like a ‘heroine’ trying to save ‘victim’ black children. While I don’t agree with his bigger argument about celebrities propounding what he calls hateful colonial imagery — privileged whites indulging themselves by tossing a crumb to oppressed blacks — hasn’t he got a point about her social media posts? Dooley’s Instagram photographs from the Ugandan village where she was reporting on neonatal clinics and malaria have a queasy air about them. I’m sorry, but they do. Here is the 31-year-old television reporter and Strictly Come Dancing star clutching a cute black baby, who looks none too pleased with the encounter. Here she is again with the same toddler, head thrown back, laughing: hers, not his. He still looks a bit fed-up. And has she applied a post-production vanity filter to make her eyes so blue, her skin so clear and her teeth so bright? Since that would be so ghastly and inappropriate, such a glutinous splotch of first-world narcissism in the middle of this dusty safari of poverty, I’m going to give her the benefit of the doubt and presume she hasn’t. Her other snaps include one of a little shack, presumably where the locals live or work. And look here, another picture of indigenous women dancing and laughing, wearing colourful traditional robes. David Lammy is preposterous in a thousand ways and Stacey Dooley is terrific in a hundred ways more, but to be honest, some of this unseemly row is her own doing. Although she is not to blame for the social media self-obsession that currently engulfs society, perhaps she could have done more to encourage her 669,000 Instagram followers to understand and appreciate the gravity of her African trip. Beside her photograph of the humble shack, a fan called Jackie has joked that it is ‘the Strictly dressing room’, followed by a thumbs-up emoji. Provided by Associated Newspapers Limited David Lammy (pictured) is not happy about Stacey Dooley's Comic Relief trip to Africa. Isn’t that peculiar? It suggests that this poor unfortunate boy, born into grinding hardship in one of the poorest countries in the world, is something desirable to obsess over, like a puppy or a new handbag or covetable pair of shoes. That is before she sets him back down in the sub-Saharan dust and returns home to her glamorous life in the UK, of course. To make matters worse, Dooley’s African images were sandwiched between the cheery clatter of her usual Instagram feed. Stacey posing for magazine photoshoots, Stacey drinking pink cocktails with her friends, Stacey pausing by a mirror to admire her matching accessories. It insinuated that her Ugandan trip had been just one more pit stop on the carousel of her lovely life. A heroine? Well as anyone on Instagram will tell you, it is all about me, me, me. Anyone like Gwyneth Paltrow, Jeremy Clarkson and Nigella. To be honest, I regularly check into their Instagram to find out what they and everyone else are doing — and I am never disappointed. Gwyneth has just helped actress Drew Barrymore celebrate her birthday, and takes time to praise her ‘immense brain’. Jeremy is on holiday with his girlfriend in Vietnam and spent the morning picking up litter from the beach. Nigella has just finished a trip to Australia, where she ate a lot of gingered tuna. Meanwhile, are any of my enemies with Insta accounts in trouble or in pain? Let’s hope it is nothing trivial. These are the questions I ask myself while pouring a glass of rosé and happily scrolling through the not-so-secret lives of others, patrolling the very depths of their shallows. I don’t post myself because I’m too busy wondering when and why everyone become so ‘OB.SESSED’ with putting the minutiae of their lives out there, for nosy parkers like me to consume as if they were episodes in a soap opera. Even though a great number of celebrities are slyly marketing themselves rather than guilelessly sharing their lives, the concept of privacy and a real sense of self are beginning to be washed away in this ongoing sea of conceit. And of course all this filters down into the ‘civilian’ population. Even children now film themselves doing many everyday things — for if you don’t record it and post about it, how can it possibly exist? Great that Stacey Dooley jets off to Uganda for Comic Relief in first class cabins. Of course, the weird culture of Instagram and other social media platforms is not unique to Stacey Dooley. Millions use these sites to post the significant alongside the trivial, the profound together with the profane. Perhaps she meant well, posing in the wretched village with the unknown little boy in her arms. Perhaps she thought there would be some benefit to posting the image online. Yet it is hard to see what that benefit could be, except to burnish the halo and image of one Stacey Dooley. And unfortunately, David Lammy agrees with me. He may have made a fair point about white celebrities such as Stacey Dooley posing with what David Lammy calls ‘victim’ black babies. Yet when it comes to the wider implications of charitable donations from this country to Africa, he is way off beam. Being charitable to those who are less well off than we are is something inculcated in British schoolchildren from an early age. From infant school onwards, we collected milk bottle tops and did good deeds for the starving children in African countries where famine, poverty and lack of medical resources were endemic. We were taught that we were the lucky ones — and we were. Then we grew up and saw terrible films and images of even more starving babies in Africa and once more we gave generously. Over and over again. Comic Relief has its faults, but it has raised more than a billion pounds, most of it donated by ordinary British people of every colour, people with only goodness in their hearts. Where the excitable member for Tottenham sees white privilege in any of this is hard to fathom. The biggest problem is not our unstinting generosity, but the widespread corruption and lack of will by some African governments to improve the lot of their citizens. We all know that millions of pounds ends up in the wrong places. If Mr Lammy would care to address that issue, instead of admonishing those who are only trying to help, we might have a little more respect for him. Abazadde b’omwana eyazaalibwa n’amagulu 4 emitima gikyabeewanise abasawo bwe bamulongoosezza ne bamusalako amagulu abiri (2) kyokka ate ne bakabatema nga bwe bakyetaaga 1,500,000/- okulongoosa ekkundi, erimusuza ng’akaaba olw’obulumi. Julius Kiiya ne Zulaina Kyakuwaire abatuuze b’e Kisaikye mu ggombolola y’e Kidera mu disitulikiti y’e Buyende balimi, wabula essanyu ly’okuzaala lyasasika mu October wa 2018, bwe baazaala Hadijah Namuganza ng’alina amagulu 4. Bazze banoonya abazirakisa, okutuusa lwe baatuuka e Mulago mu Kampala abaabayamba okusasula ssente z’okumulongoosa okusalako amagulu abiri, obuzibu ne busigala ku kkundi. “Awamu twetaaga 1,500,000/-, naye ssente tetulina kuba tuli balimi ate n’akatono ke tufunawo kati kagenda ku kwebeezaawo n’omwana,” Kiirya bwe yagambye. Nnyina wa Namuganza agamba nti, ono mwana waakutaano era tamanyi buzibu we bwava. Eyakulidde ttiimu y’abasawo abaalongoosezza omwana, Dr. Kakembo agamba nti abaana ng’ono bijja olw’okutaataaganyizibwa okubaawo ng’omwana atondebwa mu lubuto. Yakakasizza nti abaana bano baalina kuba balongo omu ne yeegatta ku munne kwe kugabana amagulu n’ekkundi. Basaba abalina obuyambi babadduukirire nga bakuba ku nnamba za ssimu 0758819327, 0786920160 oba 0785920115. Bino byabaddewo oluvanyuma lw’ensisinkano n’Omubaka w’Omukago (European Union Ambassador to Uganda), H,E. 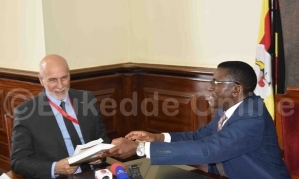 Attilio Pacifici eyakyadde e Bulange Mmengo ku Lwokubiri 29 January, 2019 mwebayogeredde ensonga ezitali zimu. Hon. 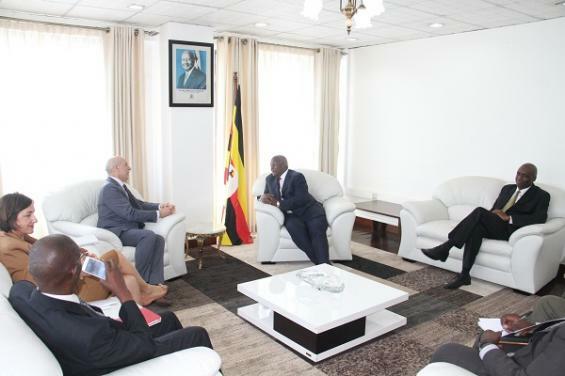 Sam Kutesa meets with the New European Union Ambassador to Uganda, H.E. Attilio Pacifici at the Ministry of Foreign Affairs, Kampala, Uganda. MMENGO egenda kukolagana n’Omukago gwa Bulaaya okutumbula embeera z’abavubuka ababeera mu bifo by’omugotteko Katikkiro Charles Peter Mayiga beyayogeddeko nti bangi beesiwa ebiragalalagala n’omwenge ebitatanye obulamu bwabwe. “Abavubuka bangi ababeera mu bifo by’enzigotta (Ghetto), obulamu bwebayitamu buzibu ddala;-tebalina mirimu era n’engeri gyebasulamu tesanyusa n’olwekyo tugenda kukolagana n’aboomukago gwa Bulaaya okulaba engeri gyetunakolaganamu okukyusa embeera z’abavubuka bano,” Mayiga bweyayogedde. Bino byabaddewo oluvanyuma lw’ensisinkano n’Omubaka w’Omukago gwa Bulaaya mu Uganda, Attilio Pacific eyakyadde e Bulange Mmengo ku Lwokubiri January 29,2019 mwebayogeredde ensonga ezitali zimu. Pacifici yategezezza nti mu kiseera kino waliwo obwetaavu okukubiriza abalimi mu Uganda okulima ebirime mu bungi era eby’omutindo ebisobola okuvuganya ku katale k’e Bulaaya lwebajja okufunamu ensimbi ezetaagisa okwekulakulanya. Mayiga yategezezza omugenyi we nti Obwakabaka bwateekawo enkola egenderera okutumbula ebirime bina okuli Amatooke, emmwanyi, lumonde ne muwogo oluvanyuma lw’okukizuula nti birime byatunzi ate tebiggwaako katale. Oluvanyuma yalambuza Omubaka Pacifici eyazze n’akulira emirimu ku kitebe ky’Omukago guno mu Kampala, Cedric Melwel, ebifo eby’enjawulo ebiri ku Bulange okuli emiziro gy’Abaganda, ekibumbe ekyakolebwa okujjukira okuddawo kw’Obwakabaka mu 1993 n’okubalengeza oluguudo Kabakanjagala nga bweruva ku Bulange okutuuka mu Twekobe mu Lubiri e Mmengo. Owekitiibwa nkuwa gabwerere, Omuzungu ono mutwale ko wano ku kkommera lye Buganda erirabirila abaana abazibu kuluguudo lwe Masaka. Awo e Kampiringisa omuzungu aja kutegera bulungi kyayinza okukuyamba mu kunsonga eyo enkulu gyoyogeddeko naye. Mbadde nti anakuyamba omala kumulaga gwe kyokozewo naye nakuyambira okwo. Ebyokutuula mumwami akooye nosalako amagulu nga bwebakuyita Omwami gundi oba Owekitiibwa gundi Bungereza ekimanyi nti e Buganda kyakoma bamaze okutusibula nga 8 October 1962. Ate kakati okwata otya abaana bo abeesiga ebiragalalagala nokunywa Uganda Waragi okuva kumakya okutuusa obudde okukya, obawe omuzungu akuyambe ko okubajjamu abantu abobuvunanyizibwa wano e Buganda? Kitalo kino. Findings. The HCI study reveals that a child born in Uganda today will only achieve 38 per cent of his productive potential in life. A new study by the World Bank says Uganda is underinvesting in the potential of her population, placing it in position 137 out of 157 countries examined. The study concludes that countries like Uganda on the bottom of the Human Capital Index (HCI) are failing to provide millions of their children with basic things such as a proper diet, education, and healthcare in their formative years. This, the study notes, makes the children to lag behind for a lifetime. HCI seeks to measure the amount of human capital that a child born today can expect to attain by age 18. The index values the productivity of the next generation of workers, compared to a benchmark of complete standard education and full health. It has three components – survival, expected years of quality-adjusted school, and health environment. For example, the HCI study reveals that a child born in Uganda today will only achieve 38 per cent of his/her productive potential in life because of the limited investments that the country makes in developing children. One can only attain 100 per cent of their potential if they enjoy complete education and full health during their childhood, the study notes. This means that children born in Uganda today will lose more than 60 per cent of their potential lifetime earnings because government is currently not making effective investments to ensure they are healthy, educated and ready for the workplace of the future. Human capital consists of the knowledge, skills, and health that people accumulate throughout their lives, enabling them to realise their potential as productive members of society. The solution, the World Bank Group says, is in ending extreme poverty and creating more inclusive societies through developing human capital. This, the bank adds, requires investing in people through nutrition, healthcare, quality education, jobs and skills. “The cost of inaction on human capital development is going up. Without human capital, countries cannot sustain economic growth, will not have a workforce that is prepared for the more highly-skilled jobs of the future, and will not compete effectively in the global economy,” the bank said. It added: “The Human Capital Project is expected to help create the political space for national leaders to prioritise transformational human capital investments. In Uganda, the probability of surviving the first five years after birth is 95 out of 100. However, 29 out of 100 children are stunted, and so at risk of cognitive and physical limitations that can last a lifetime. When it comes to the expected years of school, a child who starts school at age four can expect to complete seven years of school by her 18th birthday. Factoring in what children actually learn, the study concludes, that the expected years of school is only 4.5 years. Meanwhile, students in Uganda score 397 on a scale where 625 represents advanced attainment and 300 represents minimum attainment in harmonised test scores. Across Uganda, 70 per cent of 15-year-olds will survive until age 60. This statistic is a proxy for the range of fatal and non-fatal health outcomes that a child born today would experience as an adult under current conditions. Globally, Asian countries topped with Singapore, South Korea, Japan and Hong Kong being in the top four while Nigeria, Liberia, Mali and Niger lead from bottom. Human Capital Index: A child born in Uganda today will be 38 per cent as productive when she grows up as she could be if she enjoyed complete education and full health. Probability of Survival to Age 5: 95 out of 100 children born in Uganda survive to age 5. Expected Years of School: In Uganda, a child who starts school at age 4 can expect to complete 7 years of school by the 18th birthday. Harmonised Test Scores: Students in Uganda score 397 on a scale where 625 represents advanced attainment and 300 represents minimum attainment. Learning-adjusted Years of School: Factoring in what children actually learn, expected years of school is only 4.5 years. 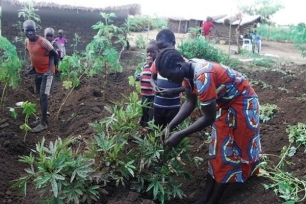 Adult Survival Rate: Across Uganda, 70 per cent of 15-year olds will survive until age 60. This statistic is a proxy for the range of fatal and non-fatal health outcomes that a child born today would experience as an adult under current conditions. Healthy Growth (Not Stunted Rate): 71 out of 100 children are not stunted. 29 out of 100 children are stunted, and so at risk of cognitive and physical limitations that can last a lifetime. Uganda, Embwa 10 ziridde omwana emisana ttuku e Kyengera! EKIKANGABWA kibuutikidde abatuuze b’e Kyengera mu zooni ya Mugongo ‘B’ ekisangibwa mu Wakiso, embwa bwe zikkakkanye ku mwana ow’emyaka 2 ne zimugwako ekiyiifuyiifu ne zimutta. Namwebe nnyina w’omugenzi (agalamidde wansi) n’abatuuze nga bagezaako okumubudaabuda. Zibadde ssaawa ssatu ez’oku makya, embwa ezisoba mu 10 bwe zisikambudde omwana Galson Katongole (2), okuva mu luggya lwa jjajjaawe ne zimukulubbeesa mu bikata bya lumonde ne zitandika okumulya kitundu ku kitundu. Abadduukirize bagenze okujja nga zaamaze dda okumusowolamu ebyenda, omutima, ekibumba n’amaaso ng’era omwana yafudde dda. Harriet Namuddu omu ku batuuze abaasoose okulaba embwa zino agamba nti abadde avaako ku buduuka kwe kuwulira embwa nga zikaaba ng’eziriko kye zirya kwe kugezaako okuzisemberera kyokka nga naye zaagala kumugoba olwo n’alaya enduulu. Wano abadduukirize we bajjidde ne batandika okuzigoba. Wabula baagenze okwetegereza nga ziriko omwana gwe zibadde zirya nga n’okufa yafudde dda. Katongole mutabani wa Paul Kamya ne Maurine Namwebe abatuuze b’e Busunju - Mityana era nga nnyina abadde yamuleeta wa jjajjaawe Christine Ndagire abeereko naye okumala akaseera asobole okuva ku mabeere. “Bannange omwana w’omwana wange afudde bubi nnyo, nfunye ekikangabwa, nze ngenda kufa ng’omuliro gunjokya omutima, omwana wange yafuna ebisobya bwereere? Abadde atandise okumpita erinnya nti jjajja. Ne ku nkya ya leero mbadde mutabulira caayi n’asooba mpola n’aggulawo oluggi lwa geeti emanju nga bw’angamba nti jjajja baayi. Mbadde manyi ali mu kuzannya na munne nga bulijjo. Kyokka omutima gwekanze omulundi gumu ne guhhamba nti genda olabe omwana gy’alaze, ng’enze okufuluma wabweru okumunoonya emiranga gy’abatuuze gye ginnyanirizza. Okwetegereza nga mwami muto wange ali mu bikata bya lumonde embwa zaamusse dda nga n’engoye zonna zimwambudde ali bukunya”, Christine Ndagire jjajja wa Katongole (eyafudde ) bw’annyonnyola. Bo abazadde tebaasobodde kuvaamu wadde ekigambo okuggyako emiranga emyereere era nnyina w’omugenzi azirise nga takikkiriza nti ddala omwana we, abadde talinaako wadde ekirwadde, embwa zimuttidde ku bugenyi ewa jjajja gye yali amuleese okumuggya ku mabeere. Tomas Wamala, ow’amawulire mu zooni eno agamba nti embwa eziri ku kyalo zisoba mu 70 kyokka nga zigumba mu bifo eby’enjawulo. Bwe ziwulira nga zinnaazo zikaaba nga zonna zivaayo gye zibadde zeekukumye. Ne bw’oba muntu mukulu nga ggwe zitaayizza kikubeerera kizibu okuzeetakkuluzaako kuba nkambwe ate nyingi ddala. “twagezaako okutuukirira be tusuubira nti be bannyini zo kyokka buli omu ng’azegaana ate bwe butuuka emisana olaba ziri mu bikomera byabwe. Twatuuza n’olukiiko lw’ekyalo ne tuziroopera abakulu ku ggombolola e Nsangi ne batusuubiza okujja okuzitta kyokka kati kitutte ebbanga lya myezi ng’esatu tetubawuliza”, Wamala bw’annyonnyola. Herman Katumba, akwanaganya poliisi n’omuntu wa bulijjo ku poliisi e Kyengera, avumiridde bannannyini mbwa abatazifaako ne bazireka okutigomwa abatuuze. “okusinziira ku by’ogerwa abatuuze, kiraga nti embwa za ku kyalo era n’abantu bazimanyi ate nga nkambwe eziyinza n’okulya omuntu omukulu. Bannyini zo bazisibe. Omulambo gwaggyiddwaawo poliisi y’e Kyengera ne gutwalibwa mu ddwaaliro e Mulago okwongera okwekebejjebwa. In the Uganda National Hospital at Mulago Hill, the pediatric unit is full of children with critically medical problems that need to be addressed urgently. M/s Adokorach Margaret, the senior nursing officer, said the current admission rate stands at above 30 children per day, yet most of them are brought while in critical conditions. IN UGANDA, Kampala- Hindiyo Abdulkadir, 18, and her family fled Somalia for Uganda nearly 11 years ago, following political instability back home. “We left Somalia for Uganda because of terror. I could only speak Arabic and feared going out in our new country. I stayed home for a year. My mother insisted I needed to start taking risks. I am glad I did. Uganda is where I have felt I can become someone. My country doesn’t recognise a girl child. Thank you Uganda for helping us refugees pursue our dreams,” a teary Abdulkadir said as she recollected her journey to Uganda. Education and Sports minister Janet Museveni said the refugee influx is stressing already limited school resources in local communities. She appealed for funds to enable government continue giving services to the distressed communities. The people of Uganda with disabilities are marching to make their points to the government of Uganda at the city of Mbale, Bugisu, Eastern Province of Uganda. Deaf people in Uganda have asked government to exempt them from the current social media tax. They argue that the tax complicates their communication problems and access to essential services such as education, health, justice, worship, news and information. 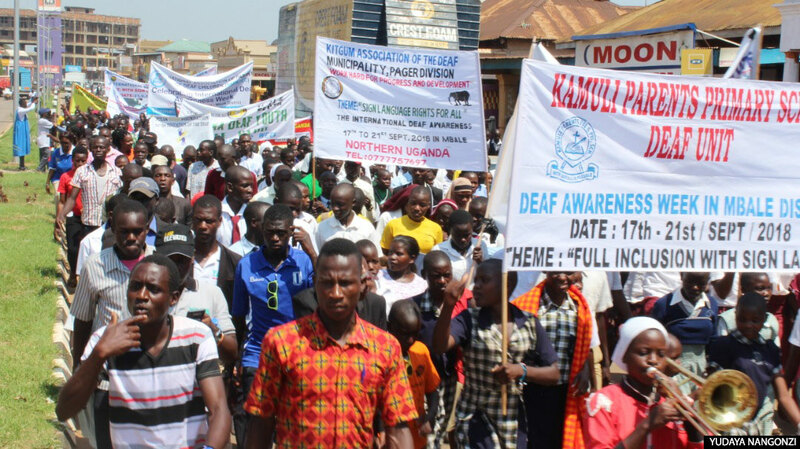 Under the auspices of the Uganda National Association of the Deaf (UNAD), they said that they are ready to compile and share a list of an estimated 1,083,649 deaf persons in Uganda as enshrined in the 2014 Uganda National Housing and Population Census report. UNAD executive director Joseph Mbulamwana said the new social media tax is hurting most deaf people because they cannot afford it. “Most of the deaf people are really poor. Before introducing OTT [Over The Top] tax, we were communicating well but with the new taxes, our phones are off. We want to communicate but we cannot. It is like government is closing our mouth and does not want us to communicate,” Mbulamwana said, insisting that government should subsidize the tax. On July 1, 2018, government started imposing the Shs 200 daily tax for social media users despite protests in a bid to widen the country’s tax base. The OTT tax has forced a sizeable number of people to evade it by using virtual private network (VPN) applications. Mbulamwana said the deaf continually get misinformed of the risk to their lives because of communication gaps. It entailed a series of activities aimed at creating awareness about issues that concern deaf people from September 17 to 22, 2018. They included Uganda Sign Language Symposium, sensitization meetings and visits to community schools, the deaf awareness debate, a football match between deaf men and women against hearing counterparts and cleaning public service centers such as markets and hospitals. Speaking during the closure of the activities at Maluku grounds in Mbale, the state minister for Youth and Children Affairs, Florence Nakiwala Kiyingi, said government is developing the inclusive education policy to improve accessibility, retention and completion rates of children and youth with disabilities in education. She also revealed that government has established training and rehabilitation centres in places such as Lweza and Kireka in Wakiso district, Ruti in Mbarara district and Mpumudde in Jinja district where youths with disabilities get employable skills in tailoring, metal work, carpentry and cosmetology, among others. Nakiwala reechoed government commitment to address stigma and discrimination, strengthen economic empowerment, and promote inclusive education and harness technology and innovations. Meanwhile, the deaf have also embarked on a campaign to teach and promote sign language digitally in a bid to increase the usage and understanding of sign language. Under the digital content for learning of sign language, learners will be able to access content through enhanced videos aided with graphical illustrations and all content can be stored in one place and accessed online. Learners will also be able to interact with each other and team up to improve their communication skills. Various stakeholders welcomed the digital sign language for the deaf campaign. “Many times teachers get stuck in class. 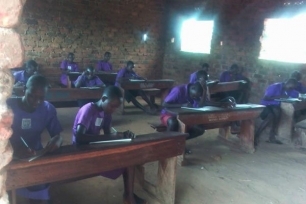 Sometimes you have a scientific word for which you don’t know the sign; so, having content on digital platform allows you to cross-check and see the sign,” Hellen Ikitot, a teacher at Mbale Secondary School for the Deaf, said. He said the deaf are a community of people with a language of their own that need everyone’s support. 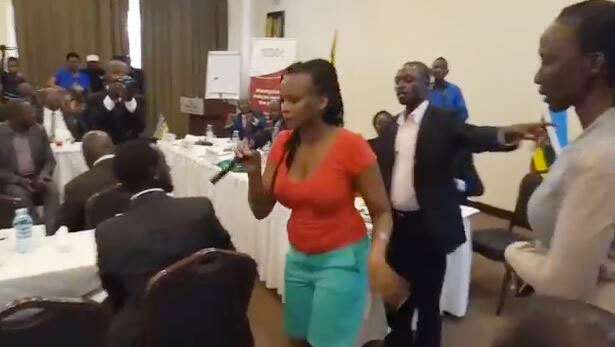 Nalongo Annette Nana Namata Mwafrika Mbarikiwa became an overnight celebrity on social media when she stormed a meeting organized by Acode a couple of weeks ago, snatched a microphone and dramatically told off the delegates. Quick Talk caught up with her at her lawyer’s office in Wandegeya where they were organizing to record a statement at police; she has reportedly been receiving threatening SMSes, calls and WhatsApp messages after the incident. The interview starts in Wandegeya and continues to Kampala Central police station (CPS). Hi! This is Quick Talk from The Observer! Hi! We talked on phone; sorry I could not recognize you, my phone has been buzzing all day and night. I receive a lot of calls and SMSes, I’m not sure who I’m talking to; anyway we can do the interview. Okay Madam Celeb! Have you watched the video clip? Some people say it was stage-managed. [Looks pissed and throws her hands in the air to stress the point!] No! 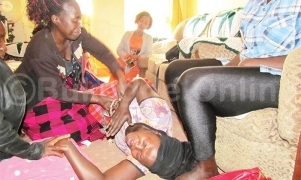 Uganda has reached a point where [people] cannot talk about what is hurting them! We are hustlers and I can say I completely got pissed off and on that day I expressed myself. It was a normal day. I arrived at work – at work I have a small TV; so, I tuned in to watch NBS TV’s recorded version of Frontline [a popular political talk show] but it was not there. On the screen was a man I did not know at that time, but was later told is [Mukono RDC] Fred Bamwine. He was talking about how it was the citizens’ obligation to pay taxes and take care of their leaders. On the screen, the topic was something to do with widening the tax base. I found that man very unrealistic and he was talking with impunity. [She talks with such pain and anger, Quick Talk notices she is silently crying behind the sunglasses.] We have children and I pay school fees for them. It’s not a shame to say that I’m a single mother, because their father doesn’t support them. I have been at URA conferences; so, at least I know something about taxes, so I was talking about what I know. [Throws her hands up in disgust] Taxes everywhere! On top of the many taxes, recently KCCA was asking for taxes for even our signposts. [As we are settling that, then OTT; everywhere taxes, taxes! But we don’t see their relevance. [Laughs, but Quick Talk can still see the brimming tears] In fact I was wearing flip-flops. Why put on suits? We don’t go to parliament, we are hustlers … suits don’t matter; it’s the head. Even my children asked me where I was going with those flip-flops and shorts but I told them I was going to town and they wondered… Any injustice to [anybody], I take it personal. [Stella] is my good friend, an inspiration, single mother and a nalongo like me! There are times when I’m stressed - nga ebintu binsobedde - I call for a chat. There was a time she was in Masaka and I called her, she almost came [to Kampala]. She is always available for me. There was a time I was following up with the father of my children, Stella Nyanzi helped me a lot. No! She is a woman who speaks her mind, so do I. I take injustice personal. Can I say the Stella Nyanzi friendship inspires this militant side of you? By the way, has government got in touch since? No! But what I’m seeing is scary and I fear for my life. People have been trailing me, calling me and telling me to shut up for the sake of my children. Sometimes they come to my place. Sometimes I have to change my routine or cancel my appointments because of these people who are following me. Even the children, I had to take them somewhere else. I think the SMS and calls are a caution from government. Is this the first time you are clashing with government? No. There was a time Makerere University was closed, I put a placard on my vehicle. I remember police dragged me on the ground in the process of arresting me. Hmmm… so, what is your day job? [Laughs and appears more relaxed] They are used to me... They have seen me in action especially when they are being bullied at school. I storm the school and fight for their rights. If I were to date you…man, you look tough! But what is your ideal man? [Gives Quick Talk that you-are-such-a-ka-boy look] I want a man with brains and humanity. I told you I’m a single mother; no man would go for me. I don’t like lousy men. You feminists, it is believed, encourage single motherhood. Feminist? I’m an independent activist. I’m not employed by anyone or any organization. Whenever I see injustice, I go for it. Anything else I will not comment. Given a chance, would you do it all again? [Smiling] Yes! I would do it again. Akulira eby’enjigiriza mu ssaza lya Klezia ery’e Lugazi Rev. 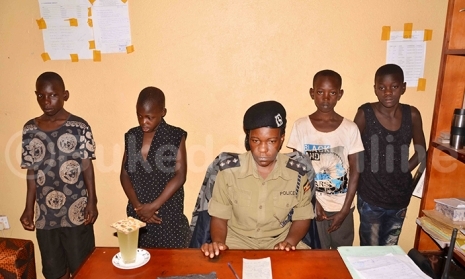 Father Peter Ntenge asabye Poliisi n’ab’eby’okwerinda ebirala okukola ennyo okulaba nga bakuuma emirembe mu kiseera abayizi okuli ba P.7, S.4 ne S.6 mwe bagenda okukolera ebigezo bya UNEB eby’akamalirizo. Abayizi abagenda okutuula UNEB nga bawanise emikono basaba wakati mu mmisa. Fr. Ntege yagambye nti ebikolwa omuli ettemu okuli abazigu abatta abantu nga beeyambisa ebijambiya, abattisa emmundu ssaako ebikolwa okwekalakaasa okusingira ddala okwa bannabyabufuzi biyinza n’okuviirako abayizi okuva ku mulamwa ebibuuzo byabwe ne bitataaganyizibwa mu ngeri ez’enjawulo. Ono era yagambye nti ebikolwa omuli poliisi okukozesa eryanyi ng’egumbulula abeekalakaasi omuli n’okukuba ttiyaggaasi n’amasasi nga n’ebiseera ebimu bino bituuka mu masomero bisaanidde okwewalibwa mu kiseera kino. “Poliisi twandigisuubidde okukuuma amasomero buli gye gali mu ggwanga okuyita obulungi mu kiseera kino kuba okukuuma Bannayuganda nga tebatuusiddwako bulabe gwe gumu ku mirimu gyayo. Tetwetaaga kugiraba ng’ate ekola ebikolwa ebikontana n’ekyo,” Fr. Ntege bwe yalambise. Okusaba okwo Fr. Ntege yakukoledde ku ssomero lya Forest Hill College e Namawojjolo mu ggombolola y’e Nama mu disitulikiti y’e Mukono ku Lwomukaaga mu mmisa abayizi aba S.4 ne S.6 mwe beekwasirizza Katonda asobole okubayisa obulungi mu kiseera eky’okukoleramu ebigezo. Yasabye ne bannabyabufuzi okwekomako beewale okuteekawo obudde obw’obunkenke obuyinza okutta ebiseera by’abayizi eby’omu maaso ssinga balemererwa okuyita obulungi mu kiseera ky’ebigezo ekigenda okutandika wiiki bbiri mu maaso. Emmisa eno yakulembeddwa Rev. Fr. John Ssenkooto ng’ono yasabye abazadde okuleka abayizi mu mikono gy’abasomesa baleme kubatataaganya mu kaseera kano bakole gumu gwokka kwe kutuukiriza ebisaanyizo by’amasomero okuli okusasula ffiizi n’ebirala. Ono yalabudde abayizi, abazadde n’abasomesa okwewala abantu mu kiseera kino abatambuza ebicupuli bye bayita obusasi bw’ebigezo naye nga bibeera biggya bayizi ku mulamwa tewali kirala. Yalabudde n’abazadde okwewala okuwa abayizi amawulire agayinza okubakuba encukwe ne batuuka okuva ku mulamwa n’agamba nti basaanidde kubazzaamu buzza maanyi. Omukulu w’essomero Jane Were naye yategeezezza nti balina abayizi 200 abagenda okukola ebigezo bya S.4 nga bano babateeseteese bulungi. Yasabye abazadde obuteetantala kuggya wadde omuyizi n’omu ku ssomero ng’ekiseera eky’okukola ebigezo byonna tekinnaggwako. Omwaana omugezi asanyusa kitawe ne nyina! “Emirundi mingi abazadde banona abayizi ku masomero nga babuzaayo ekigezo nga kimu ne batuuka ewaka ne bafunirayo ebizibu omuli n’obubenje n’abamu ne batuuka okufiirwa obulamu. Abazadde n’abayizi mbabasaba tubeere n’obugumiikiriza okutuuka ng’omuyizi amaliddeyo ddala ebigezo olwo alyoke anonebwe okuddayo ewaka,” Were bwe yategeezezza. The United Nations Children’s Fund (Unicef) on September 24 launched Generation Unlimited, a global educational and training partnership, at the United Nations headquarters in New York, USA. This programme “dedicated to increasing opportunities and investments for children and young people aged 10 to 24,” will see Unicef partnering various companions, in an effort to help young people transition from adolescence to maturity with ease. With tagline ‘Co-creating solutions with and for young people’, Generation Unlimited is part of efforts to accelerate the implementation of the United Nation’s 2030 Agenda for Sustainable Development. It aims to involve and respond to the specific needs of young people, as well as promote and support young people’s role as critical agents of change. A statement by Unicef’s headquarter in New York dated September 21 and titled ‘World leaders unite under new initiative to provide quality education and training for young people’, said Generation Unlimited “will tackle the global education and training crisis currently holding back millions of young people and threatening progress and stability”. It promises getting “every young person into quality education, training or employment by 2030”. As part of the United Nations Secretary-General’s Youth 2030 Strategy, Generation Unlimited will complement and build on existing programmes that support adolescents and young people. Its three key areas of emphasis will be: secondary-age education; skills for learning, employability and decent work; and empowerment. Generation Unlimited’s website, www.genunlimited.org/, states that the first round of multi-stakeholder co-creation, led by a wide range of external experts, has already yielded 20 initiatives that have the potential to deliver sustained results, and which are currently being considered for support by Generation Unlimited. It also mentions a set of ‘promising transformative ideas’ that will harness the power of new trends like digitalization, globalization, technology and demographics. These ideas will harness emerging industries in the green and care economies, as well as the growing body of data, knowledge and experience to address barriers that are obstructing progress for young people. Many of these trends are at critical turning points that could help leapfrog solutions ahead of the curve and dramatically improve the effectiveness of scalable solutions. At the launch, Unicef executive director Henrietta Fore said: “The change in demographics the world is experiencing, coupled with fast-moving technological advances, presents a critical moment in history. 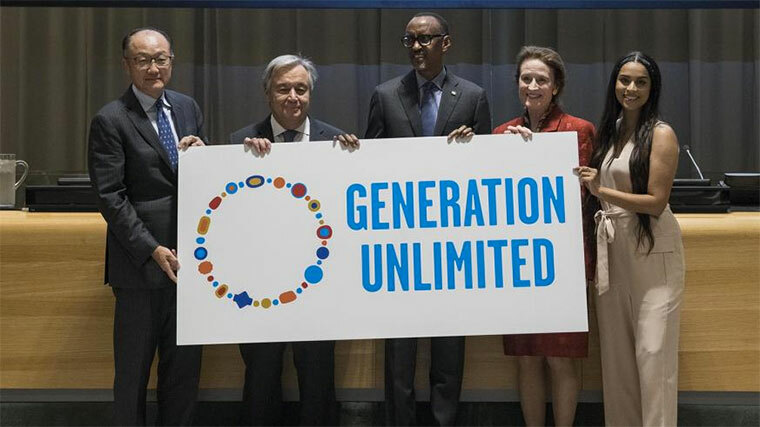 Generation Unlimited boasts a wide range of partners – governments, the private sector, academia, international and civil society organizations, as well as young people themselves – to co-create, fund and scale up innovative solutions to expand opportunities for the world’s young people. Besides a large board, Generation Unlimited also boasts a nine-member leaders group and a four-member champions group. The first meeting of the global board for the partnership was held in July last year. The baby who it would have been hoped had a twin sister that never managed to develop in Mummy's womb. That is why in Ancient African culture twins and their Mums are a human Mystery or Legend up to present days. Kids in Crisis Panorama Britain is in the grip of a child mental health crisis. Nearly half a million children are either waiting for treatment or receiving it. The government has promised more money for child mental health but in the meantime getting help is a postcode lottery. Some children are waiting up to two years to be seen and others are being sent hundreds of miles away from home for treatment. It is a Panorama programme good to see made by the BBC TV programme. ON THE AFRICAN CONTINENT THERE IS NO WELFARE SYTEMS. THE CHILDREN HAVE GOT TO SUFFER SOCIAL DEGRADATION. THE GIRL CHILD SUFFERS EVEN MUCH MORE.